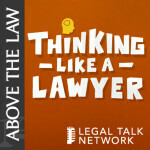 Jeena Cho is the author of two books: The Anxious Lawyer, An 8-Week Guide to a Joyful and Satisfying Law Practice Through Mindfulness and Meditation (ABA), and How to Manage Your Law Office (LexisNexis). She is a regular contributor to Forbes, Bloomberg, and Above the Law where she covers resilience, work/life integration, and wellness in the workplace. She regularly speaks on women’s issues, diversity, wellness, productivity, mindfulness, and meditation. 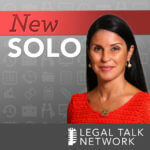 Jeena Cho explains how meditation helped her with her stress and how implementing this could help attorneys with their practice. Jeena Cho talks about why there’s a lack of diversity in the legal industry and why it’s important for legal professionals to care. Jeena Cho speaks about how practicing mindfulness, in essence living in the present moment, helps lawyers quickly move on from daily stressors and setbacks.